5 stars - "Canon PIXMA Pro9500 InkJet Printer at best price with CISS" by Gomez, Written on 2010, 15:04/08/16 Excellent printer, the assembly quality - just perfect! Print quality - excellent, both in the professional laboratory. 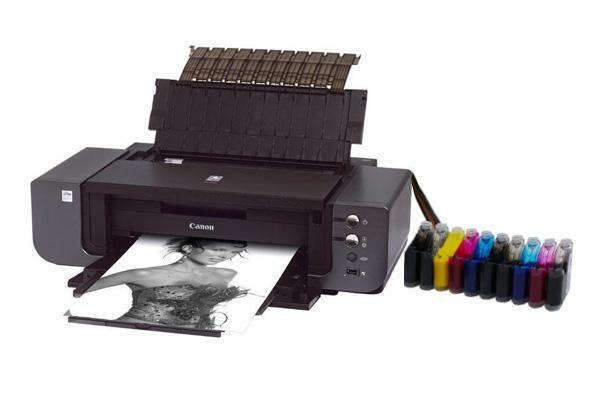 Buy Printer Canon PIXMA Pro9500 with CISS and make 30 times more quality prints for the same money! Pay only 0.04 USD for A-4 full color print! Windows: PC with Windows Vista, Windows XP and Windows 2000, USB interface¹, CD-ROM Drive. Free hard disk space: 300 MB for Windows Vista/XP/2000. Mac: Macintosh computer with Mac OS X v10.2.8 or later, USB interface. Free hard disk space: 350 MB for Mac OS X v10.2.8 or later. Windows: Easy-PhotoPrint Pro, Easy-WebPrint, Easy-PhotoPrint, PhotoRecord, Easy-PrintToolBox and CD-LabelPrint. Excellent printer, the assembly quality - just perfect! Print quality - excellent, both in the professional laboratory.